Back in February, I went to Barcelona for 5 nights and 6 days. I have always heard about Barcelona being that must see place in Europe and now I have been, I can most definitely say there is no doubt about that. 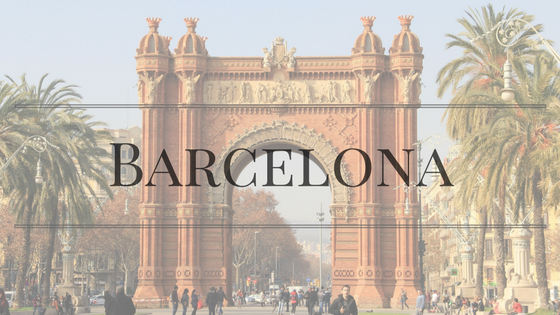 Barcelona is indeed a beautiful city with plenty of things to do and see. I booked my holiday package via British Airways (as always!). I love British Airways just because the deals are relatively cheap and there is no hassle of booking flights and hotel separately. I have said it before in my previous travel posts, if you can fly from London, I really recommend BA. I stayed at the Barcelona Universal Hotel located right in the center with walking distance to many tourist attractions. There is a Metro station less than a minute walk away from the hotel as well as many bus stops. There are plenty of nice local restaurants nearby, I would highly recommend Cafe Manila which is more like fine dining however in a relaxed setting. Las Ramblas was about 5-10 minutes walk away, and Placa Espanya was around 15-20 minutes walk away. The rooms in the hotel are roomy with double bed and ample space to keep your items in. The beds were very comfortable to sleep in and ensured a good night's rest. The bathroom was fully fitted, spacious and tiled. It had complementary shampoo/conditioners/soaps etc. The hotel also had a lovely, large and stylish lounge, which had plenty of sofas and a few desktop. There is an outdoor pool and a small gym facility. The rooftop terrace was a brilliant addition where you can see the skyline of Barcelona and all the main tourist attractions. Park Gueil - Stay until the evening to watch the sunset. Or if you're visiting in summer when its long hours it's free to enter after 5 pm. Camp Nou - A little secret of mine but sharing is caring...If you want to see just the football ground and stadium but do not want the full tour then if you go to the upper restaurant and buy a coffee (€2.50) and ask to sit in their VIP lounge, you will save yourself the €30+ euros per person for entry. The coffee was pretty delicious I must say, creamy and smooth. Here's my Barcelona trip in pictures!